So, we’ve been just a little bit busy the past week. Let’s catch up. Having arrived home from a trip to Oklahoma the Friday before, we spent the weekend cleaning the house and getting things organized for house guests. Last Tuesday night (well, actually early Wednesday morning) a family of five from St. Kitts and Nevis in the Caribbean arrived at our house. 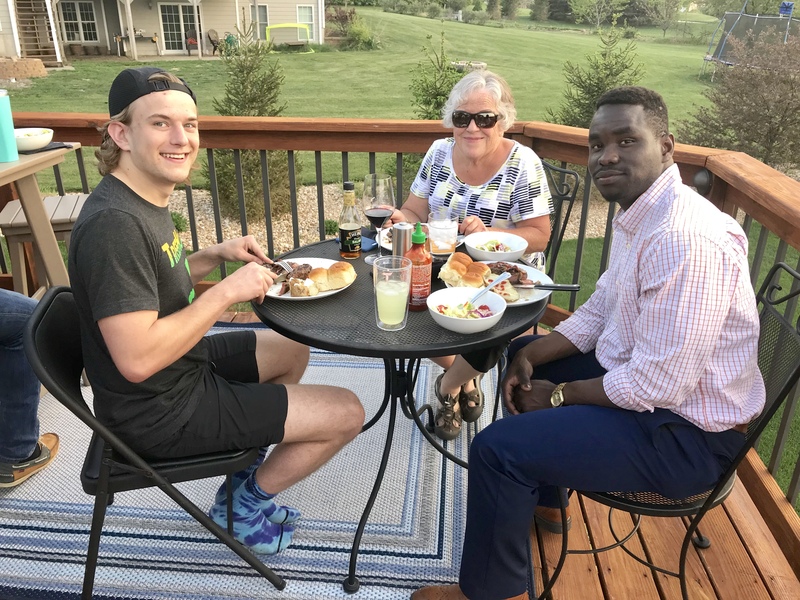 They were staying with us for a week to and attend and celebrate their son’s graduation from Doane University in the town where we live. Mikey’s family came all the way from St. Kitts to be here for graduation. He’s in the middle with his two sisters and his parents, Calvin and Pearline. 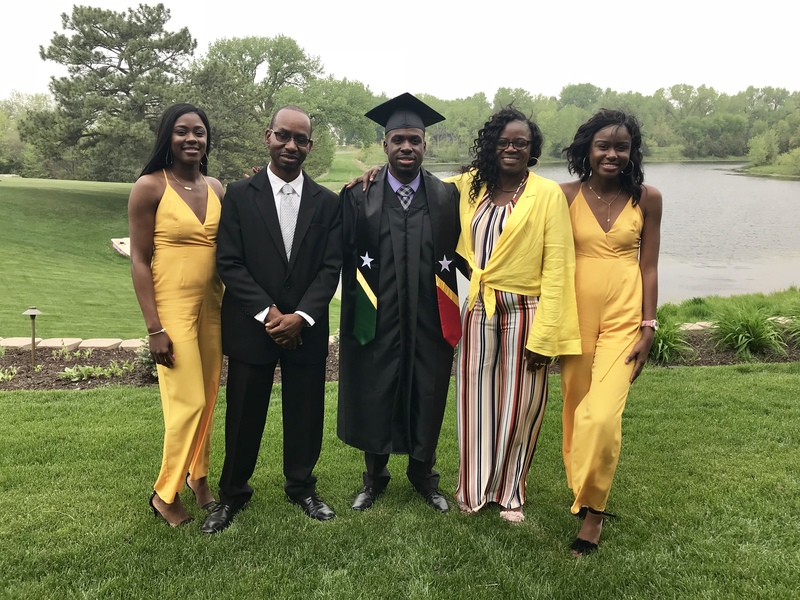 We’ve known their son, Michael, for three years and had met the Tross family when we visited St. Kitts in 2016, so it was a real honor to welcome them to our home. 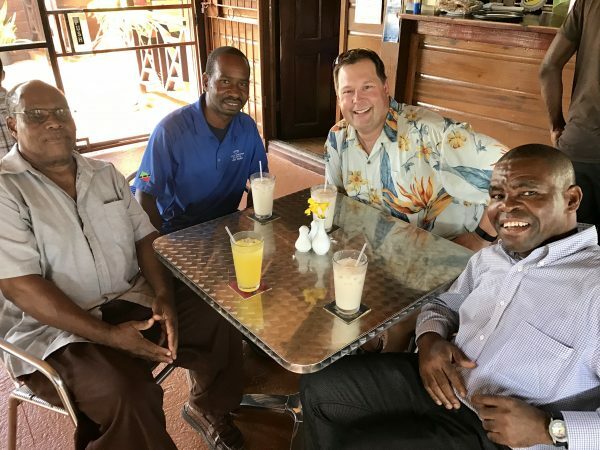 Steve and I met Michael’s parents for the first time when we visited St. Kitts in 2016. Wednesday was also my 49th birthday and can I just say thank you all for the hundreds of well wishes and Happy Birthday greetings you sent? The ice cream cake we got to celebrate Ann’s birthday. I heard from so many old friends, new friends, family members, former colleagues, and high school classmates. 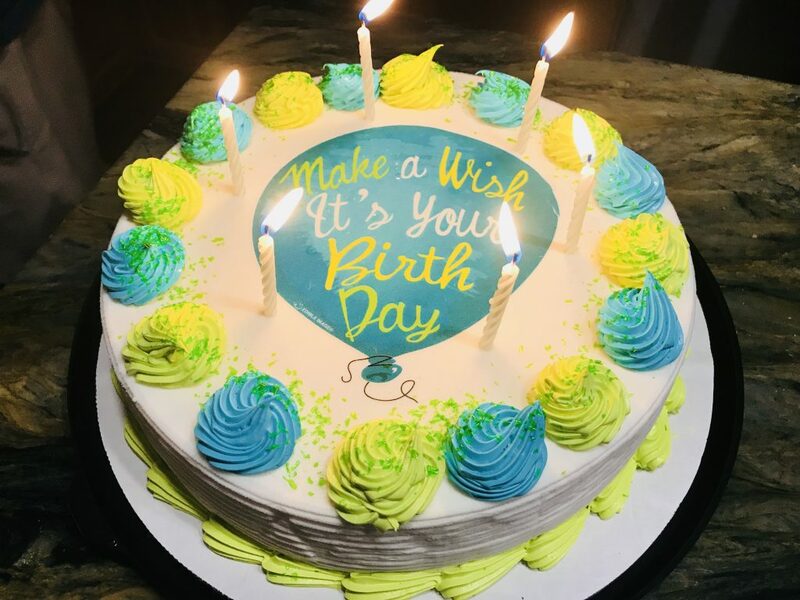 It made for a wonderful day and I felt so loved. 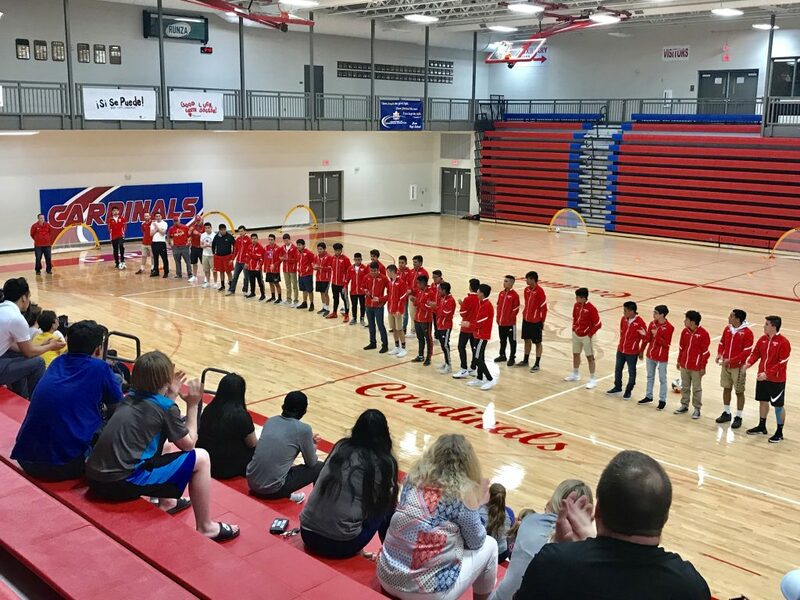 We had a busy evening as I presented scholarships at a high school awards banquet and then we cheered on our Crete High men’s soccer team at a pep rally before they left for the state soccer tournament. We are so proud of our local Crete High School men’s soccer team on their first trip to the state tournament. When we got home at 9:30 that night, Steve, Meghan and I had piece of ice cream cake and called it a night. 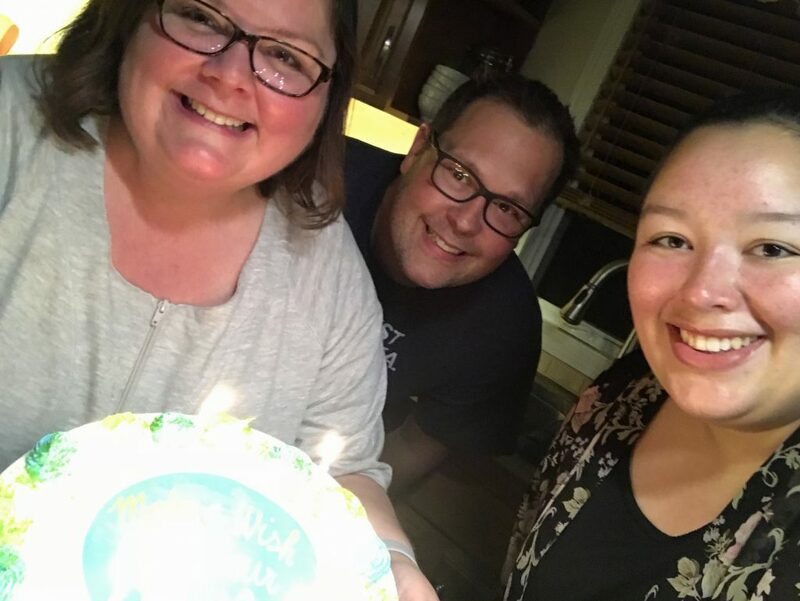 Let’s just say that it wasn’t easy to get a selfie while trying to hold a heavy ice cream cake with lit birthday candles. We spent the next two days keeping the house clean, decorating, making meals, and preparing for Saturday’s graduation festivities. We made fajitas and guacamole for about 20 people one night, reminisced with friends, and entertained out of town guests. 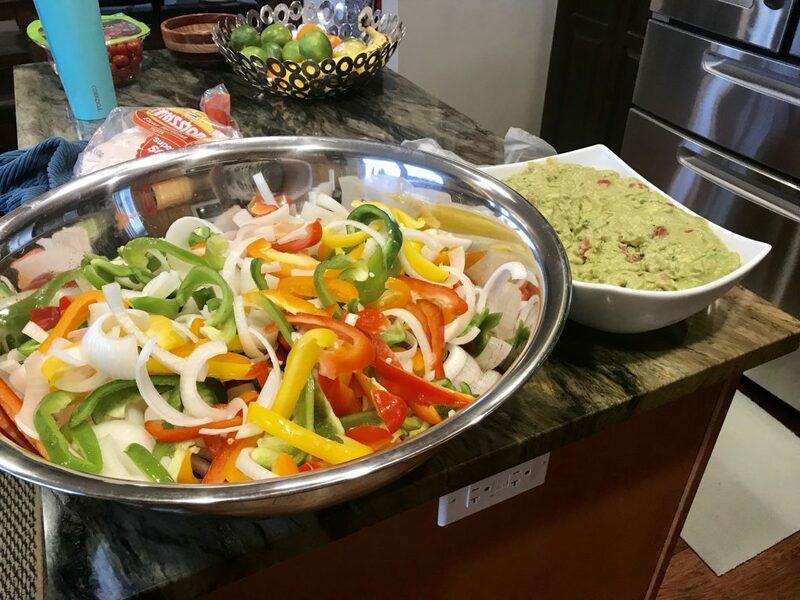 Ann cut (and cut) fresh peppers and onions and made a huge batch of guacamole for our grilled fajita night. As we’ve mentioned before, Steve and I, along with our friends Ben and Nikki, lead the college ministry at our church. 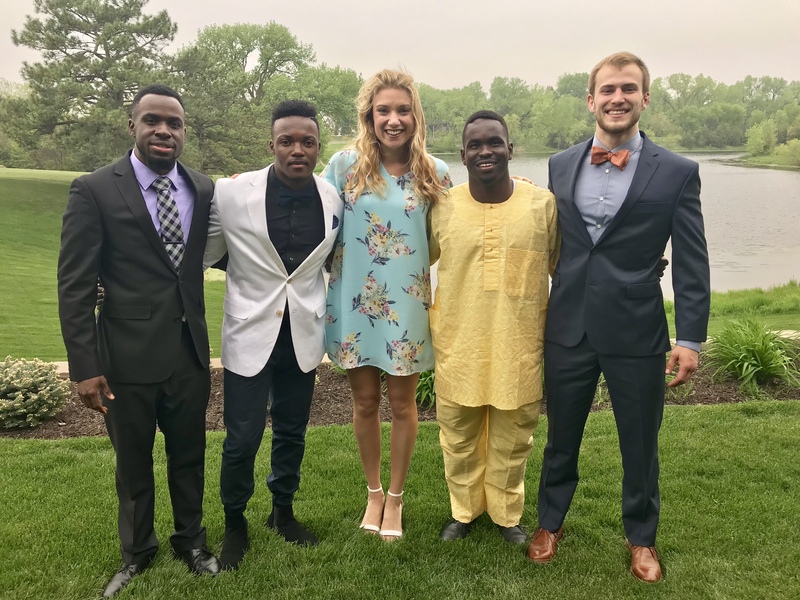 Since many of the students and their families are not from around here, we offered to host a graduation party at our place after commencement for about 120 of their closest friends and families. In preparation, one of the graduates’ sister, Hannah, spent at least six hours at our kitchen table meticulously decorating more than 70 sugar cookies for the event. Aren’t they amazing? 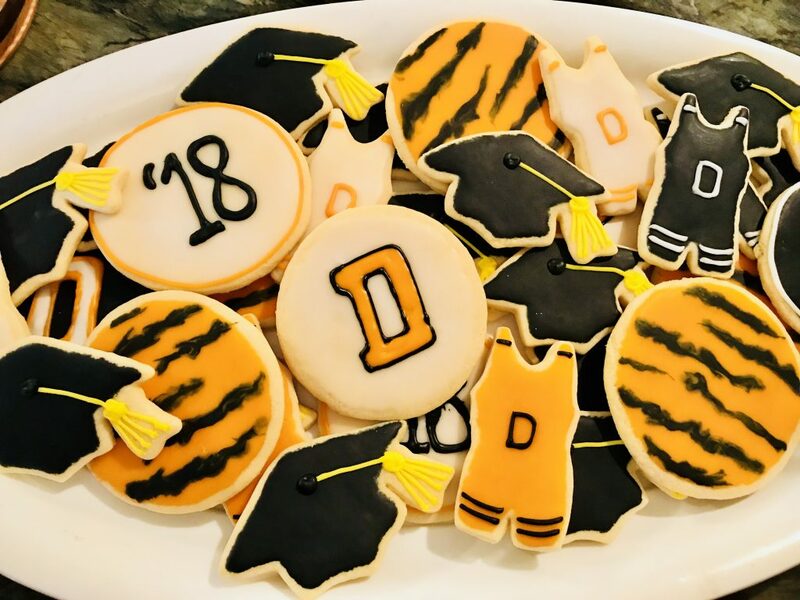 These hand-decorated graduation cookies tasted even better than they looked. Then, it was the day of commencement! 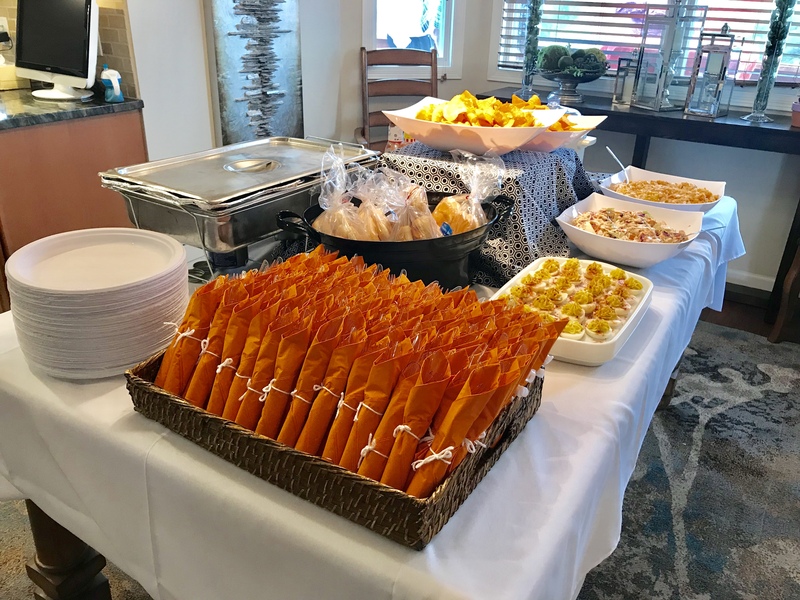 We got up early to prepare the house for the party before attending a mid-morning brunch for the international graduates. 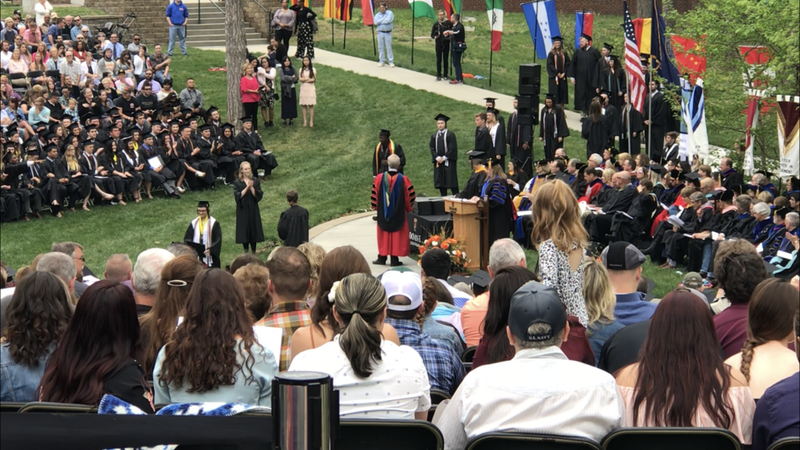 The commencement ceremonies were outside on the Doane University campus and we were so proud of those we’d served in college ministry as their names were read. It was such a joy to watch them walk across the lawn to receive their diplomas. 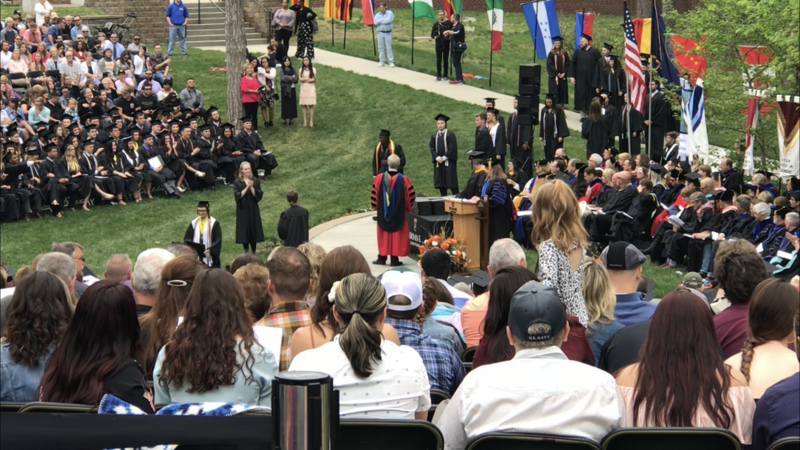 2018 commencement at Doane University in Crete, Nebraska. Sadly, the tables and chairs we’d so carefully set up outside and on the deck went mostly unused, because it was only about 52 degrees that afternoon, so we squeezed more than 100 people into our house for the party. Our dining room table became a graduation party buffet. It was an amazing celebration full of laughter and smiles. 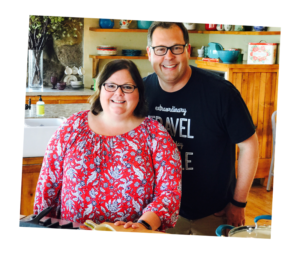 Our friends, Robby and Karrie helped with food preparation and were rock stars in the kitchen, so we actually had lots of opportunities to visit with guests and enjoy the day. 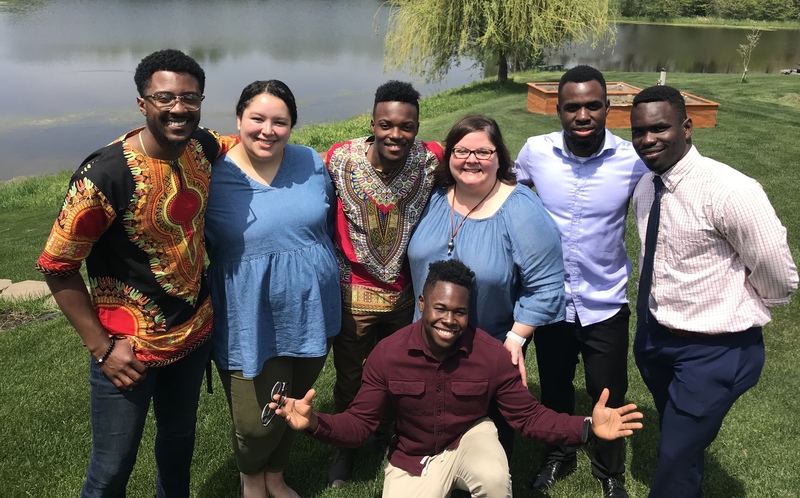 Some of the Doane University graduates who are involved in college ministry at our church. After entertaining 120 people, you’d think we would be done for a while. But we weren’t. Sunday was Mother’s Day and I was so happy to spend it with both my daughter and my mom. We went to church in the morning and as we do most Sundays, fed a large group of college students lunch at our place afterwards. 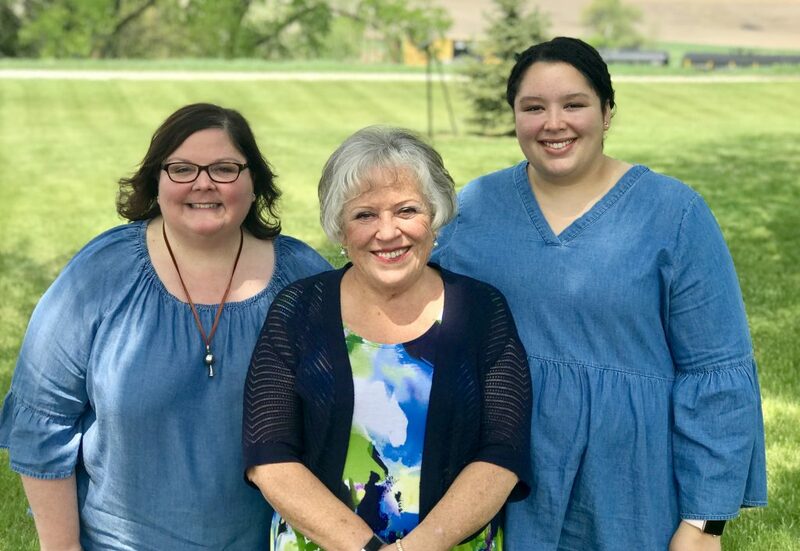 Ann with her mom, Carol, and our daughter, Meghan on Mother’s Day. Meghan and some of my college “kids” gave me a thoughtful gift (framed pictures of them all together) and we lounged for much of the afternoon. On Mother’s Day we grilled steaks and ate on the deck. Monday morning we were up and around to clean (again) and prepare for one last celebration — a going away party for our daughter, Meghan, before she moved to Tulsa. We had a going away party for Meghan and many of her friends, including Amy and Dulce stopped by. 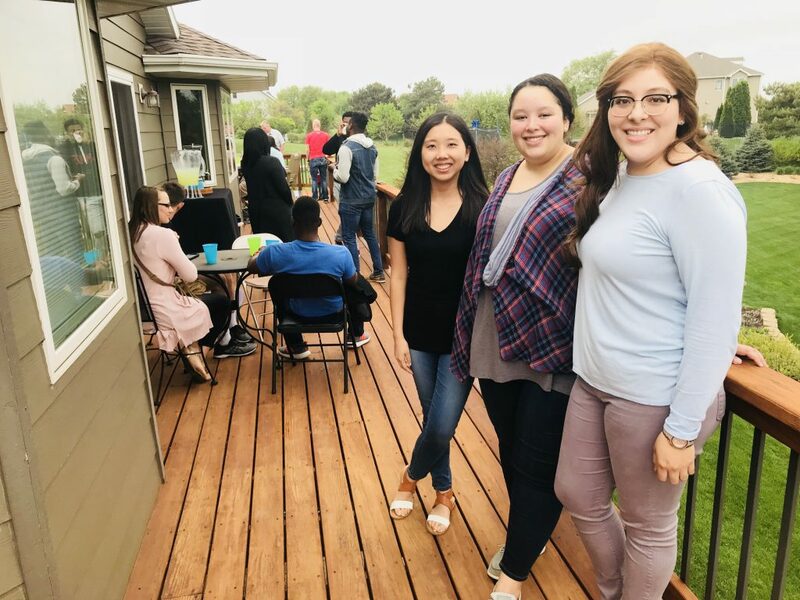 We had about 30 people over for another cookout on the deck and it was such a great opportunity for Meghan to visit with her friends and say goodbye before heading south to start the accelerated nursing program at Oklahoma University. I won’t lie, we slept in Tuesday (’til about 7 a.m.) and over coffee that morning in the hot tub counted everything up and figured we’d served more than 250 meals out of our kitchen in a week. Time to get back to blogging or better yet, plan a vacation.